Background/Aims: In recent years, acupuncture has become more and more popular in the management of subfertility. The aim of this study was to evaluate the impact of acupuncture during in vitro fertilization (IVF) treatment on the outcomes of clinical pregnancy in published randomized studies. Methods: This is a systematic review and meta-analysis. Data sources used were MEDLINE, Embase, Web of Knowledge and the Chinese Biomedical Database. Results: There was no statistically significant difference between the acupuncture group and no acupuncture (intervention) controls around the time of embryo transfer (ET; risk ratio, RR, 1.24, 95% confidence interval, CI, 1.02-1.50) or in unblinded trials, trials blinded to physicians and double-blind trials (95% CI 1.26-1.88, 0.82-1.33 and 0.89-1.25, respectively). This was also the case when comparing acupuncture with sham acupuncture controls around the time of ET (RR, 1.03, 95% CI 0.87-1.22) or when restricting to unblinded trials, trials blinded to physicians and double-blind trials (95% CI 0.80-2.02, 0.82-1.18 and 0.77-1.17, respectively). There was a statistically significant difference when performed at 30 min after ET and implantation phase (RR 1.76, 95% CI 1.22-2.55). There was also a statistically significant difference when performed at follicle phase and 25 min before and after ET (RR 1.56, 95% CI 1.04-2.33). 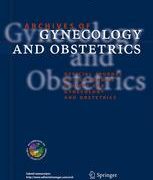 Conclusion: Our study showed that acupuncture did not significantly improve the IVF clinical pregnancy rate when performed only at the time of ET, while we found pooled benefit of acupuncture for IVF when performed at follicle phase and 25 min before and after ET, as well as implantation phase.